Every Monday night (with rare exception) at the Griswold Inn at 36 Main Street, Essex, CT, USA. We start a little after 8p and go until 11+p… Sometimes we fudge the specific times, pending crowd, weather, &c. It almost always fills in quickly so if you’ve a mind to sit you might wish to consider getting there early and ordering something from the pub menu. And bring your singing voice and a sense of humour, for anything less simply will not do! Monday night at the Griswold Inn, Essex. 27th – Saturday. 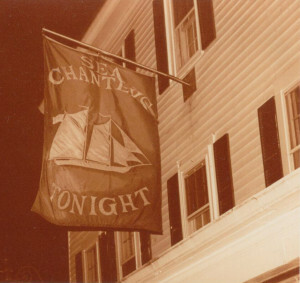 We’re performing at the annual “Burning of the Socks” ceremony of the Essex Yacht Club, 5 – 8p. 4th – Saturday. We’re playing at the Third Annual Gala Fundraiser, Mitchell College, New London. 6th – Monday @ the Gris – We’re starting early tonight: 5p. WFSB Channel 3 will be broadcasting from the tap room this evening from then until 6:30p and we’re to be a part of it. If you feel inclined, come join us! 10th – Monday @ the Gris – Survivor’s Night! 1st – Thurs. 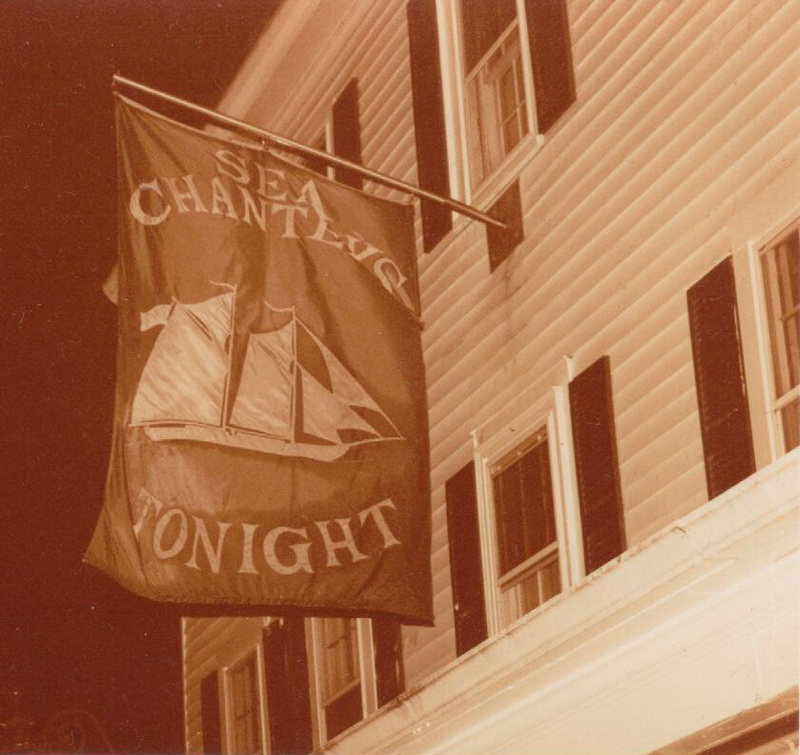 We’re giving a sea music show at the Pequot Library, Southport, CT. 6:30 – 7:30p Open to the public… 10$ donation at the door. Beverages provided. 15th – Sunday. We’re performing at the Pine Orchard Chapel, Pine Orchard, Branford, CT. 4-5:30p. In the chapel unless rather warm in which it’ll be moved onto the lawn. 25 Chapel Dr. Branford, CT. I do not know if this is the most appropriate place to post this, but I did not see a “contact us” page. I am currently taking a course in world musics and I have been asked to observe a performance and or rehearsal of a group not part of the “classical” genre of music as part of a ethnomusicology based fieldwork project. After reading about The Jovial Crew and seeing some videos on youtube, seeing that you are huge proponents of English folk music, I think that doing this assignment around your group would be both educational and downright fun! I know you guys play every Monday at the Griswold Inn, would it be possible to have a couple minutes of your time afterwards or at another time to speak with you guys about your music in addition to seeing a performance? Oi cliff! It’s your favorite giant! Sell your CDs online or put your stuff on iTunes. Your lovely voices need to be shared! Hey Tall Mick! Come see Cliff’s site at http://www.CliffHaslam.com and you’ll see his CDs there! I belong to an acoustic guitar jam band and the marina we’re staying at in New Jersey is putting on a Sea Shanty night in July, all thanks to you and our friends who have visisted the Gris, it’s a great thing. I’m looking to find Sea Shanty Songs that have chords so we can play along. Do yo know where I can find any, especially some of the songs you sing? My wife and I saw you last August with the gents from Switzerland I believe. Great show. Thank you for coming to see us and I’m glad you enjoyed the show. I have been adding songs that we sing to the website as time permits and in some cases including the chords. I’ll be quite happy to provide the chords to any of the songs you wish to perform; sea chanteys, ballads, forebitters, dittys, &c. If you wish to research for things not on our website, you might look at our suggested books to read section for ideas of sources. However, I am still quite happy to help in any way I am able. If you’re around on Monday the 16th, it is our “Survivor’s Night”. Perhaps you might wish to get up and sing a song or two? Mya, I don’t see any reason why not… We do have guests from time to time. The best plan would be to come down and enjoy the evening, seeing if you feel comfortable with the scene, for it can be loud and difficult sometimes! How does one go about booking you for their wedding on October 22nd? I put it to the guys and we’ll see about their availability!